You'll get a convenient hotel pick up and drop off if your hotel is in downtown Coron! Great experience, loved it. Only wish that we had visited Kayangan Lake earlier on the day, so that we would have seen it in sunshine. It was our last stop, so we could not see the fantastic clarity of the water from distance. Palawan is rich in beautiful islands, and this tour of Coron's isles will be the best way for you to experience the paradise in as many of them as possible. From your hotel, you'll head first to Kayangan Lake, a picture perfect body of clear blue water that you could see all the way to the bottom of. Then, you'll head off to the Twin Lagoons, surrounded by rocky cliffsides and full of bluegreen waters straight out of a fairytale. 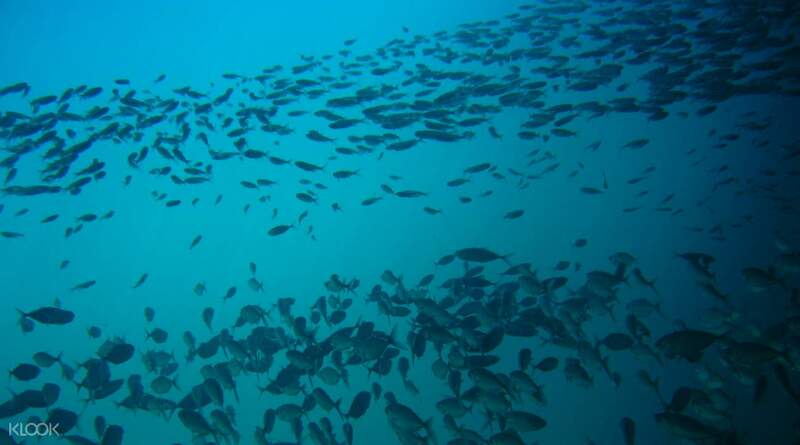 Your next stop is at Siete Pecados Marine Park, which is a protected area that holds numerous species and varieties of the local marine life, perfect for snorkeling. Here you can check out Skeleton Wreck, where you can marvel at an underwater shipwreck covered in barnacles. You will head onto the Malwawey Reef and the Coral Garden, which will give you the chance to observe the beautiful varieties of coral under Coron's waters, and even see how vital they are to the ecosystem! Lunchtime at Smith Beach will give you the chance to enjoy delicious local food as you relax on the white sands and enjoy the coastal atmosphere. Finally, you'll head to the Coron Youth Club Beach, a delightful beach experience in a tiny island, letting you feel as though you're the ruler of your own personal beach world. 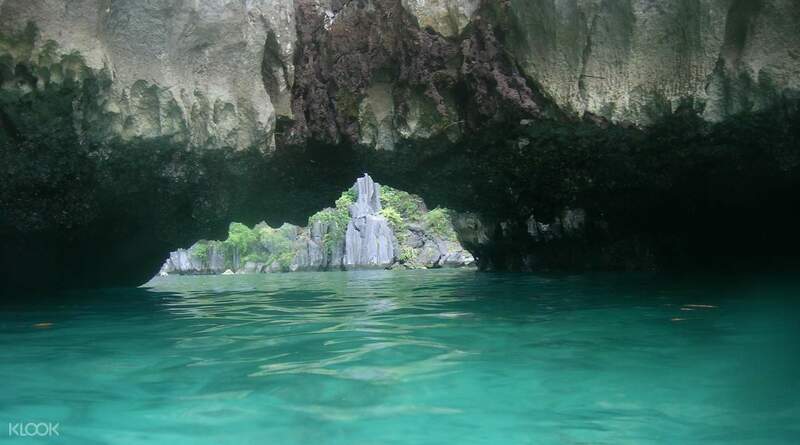 This tour is an amazing opportunity to see the very best of Coron all in one day! We really enjoy our trips here. 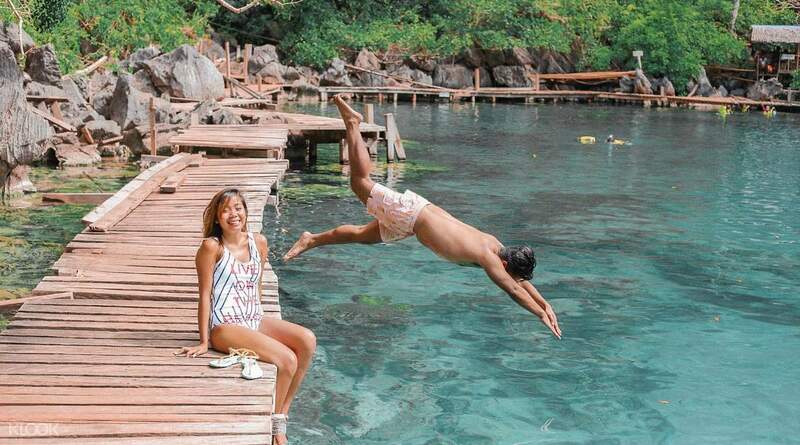 We get to see the mesmerizing lakes of Coron. Beautiful scenery of rock formations. Mixed of fresh and salt water. We met alot of people wth differrent nationality and even made good friends. Lunch by the sea is suoerb and sumptous! They served a lot of foods! Sobra pa nga smen hahaha. We really enjoy our trips here. We get to see the mesmerizing lakes of Coron. Beautiful scenery of rock formations. 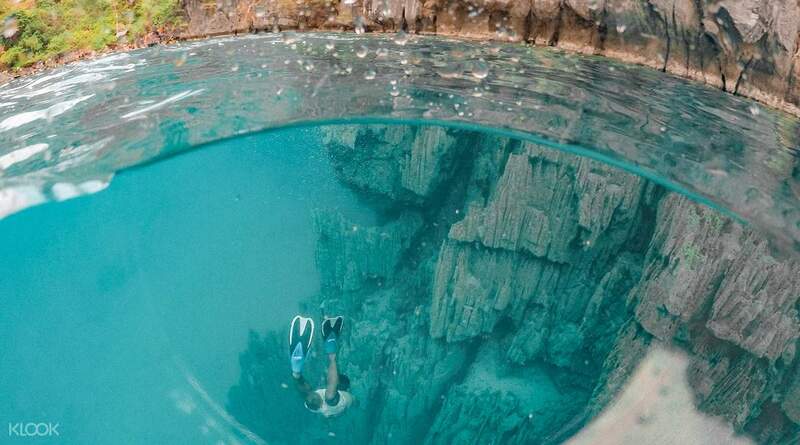 Mixed of fresh and salt water. We met alot of people wth differrent nationality and even made good friends. Lunch by the sea is suoerb and sumptous! They served a lot of foods! Sobra pa nga smen hahaha. 5 stars for this tour! Everything went pretty smooth, from pickup to drop off. Our boat crew were amazing as well especially Nash, our tour guide. He was very witty, informative, and entertaining. The food we had was superb! This experience in Coron is surely one for the books thanks to the people who made this tour possible! 5 stars for this tour! Everything went pretty smooth, from pickup to drop off. Our boat crew were amazing as well especially Nash, our tour guide. He was very witty, informative, and entertaining. The food we had was superb! This experience in Coron is surely one for the books thanks to the people who made this tour possible! Awesome. We had our tour to celebrate the new year and my husband's birthday. Coron is surrounded with mountains and rock formations. There is that what they called the 'sleeping giant' because it looks like one. I specially love the snorkeling with the beautiful corals and colorful fish. Also the twin lagoon and kayangan lake is a must. The tour guide and the boat crews are friendly, they set the tour more lively. Hmm..you must bring with you snacks, we had our lunch around 1:20pm and money, at least 15 pesos each, fare from the port to your hotel because during that time it was allegedly the van drivers were not available. All in all, the tour is good and I enjoyed a lot. Awesome. We had our tour to celebrate the new year and my husband's birthday. Coron is surrounded with mountains and rock formations. There is that what they called the 'sleeping giant' because it looks like one. I specially love the snorkeling with the beautiful corals and colorful fish. Also the twin lagoon and kayangan lake is a must. The tour guide and the boat crews are friendly, they set the tour more lively. Hmm..you must bring with you snacks, we had our lunch around 1:20pm and money, at least 15 pesos each, fare from the port to your hotel because during that time it was allegedly the van drivers were not available. All in all, the tour is good and I enjoyed a lot. Best experience ever! Pick up was on time. And was done via a comfortable AC van. Our tour guide was able to navigate us away from the crowd but did not compromise on the itinerary! The lunch was delicious. we felt safe on with our boat crew. Each itinerary is just a paradise! Definitely worth it! Best experience ever! Pick up was on time. And was done via a comfortable AC van. Our tour guide was able to navigate us away from the crowd but did not compromise on the itinerary! The lunch was delicious. we felt safe on with our boat crew. Each itinerary is just a paradise! Definitely worth it!